Dominated by the serene and isolated beauty of its eponymous peak, the eighth highest in the world at 8,163 meters, the Manaslu valley in north central Nepal was only opened to trekking in 1992. 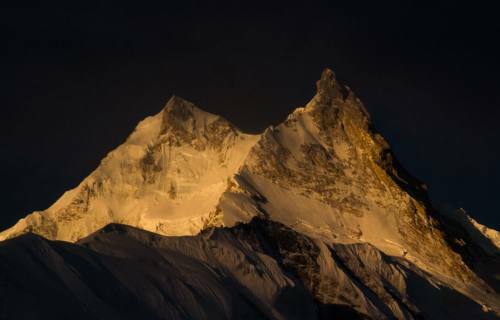 Still largely unspoiled and with a minimal number of visitors annually compared to the big two of Annapurna and Everest, the Manaslu region represents an ideal opportunity for contemporary trekkers to explore and experience one of the premier Himalayan routes in a manner that harks to Nepal’s early allure to the outside world. Resplendent in pristine landscapes and abundant waterfalls and presenting a perfect amalgamation of Tibetan and Hindu cultures living harmoniously side by side, the valley provides one of the most rewarding and memorable experiences available from our wide selection of trekking opportunities. 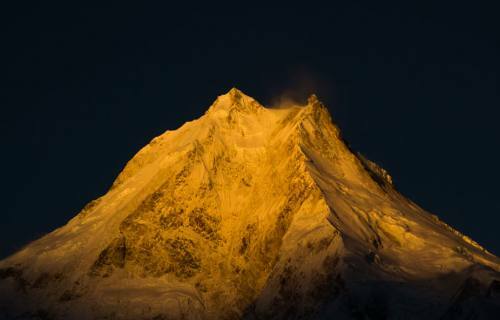 Manaslu is a particular point of interest for our company given a pedigree of staff members and guides who grew up in the valley’s numerous villages. As such we have particular insights and experience of the region that few other agencies can boast of, as well as numerous contacts that frequently prove invaluable during the high season. 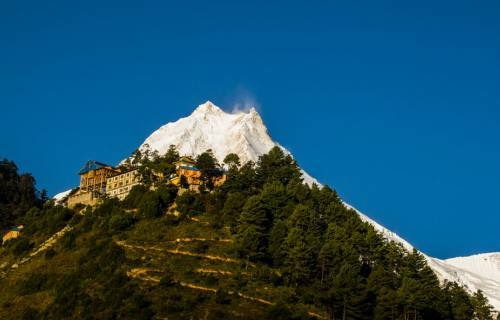 The Manaslu trek not only provides an extraordinary opportunity to savor the Himalayan region at its finest, but presents a unique base from which to expand upon the journey with a wide array of side-excursions and extensions that add even further to the experience and sense of exploration. Whether it’s the cultural delights of Tsum Valley’s Tibetan links, the “lost” hidden valley of Nar Phu, or linking to the Annapurna trail and Tilicho lake, the world’s highest body of water, Nepal Trekking Experts give you complete freedom to customize your trekking experience to suit your specific requirements. Whether you need us to take care of every detail, or give you maximum leeway to set your own agenda, we’re ready to render our expert advice and assistance. All you need to do is ask.